It was recently reported that the Zimbabwe Stock Exchange is making attempts to bring back the country’s bond market, a development that is meant to provide an additional platform for raising long term capital. There are a lot of opportunities that this could create, and one entity that is set to explore some of them is Chengetedzai Depository Company (CDC), Zimbabwe’s central depository. We wrote about CDC not too long ago and highlighted its role in digitalising securities. While Chengetedzai Depository is primed to play a central role in the electronic management of bonds for Zimbabwe’s new bond market, it will also need to explore other avenues that technology can bring in how these bbonds and other securities are handled. This is, after all, what we have seen with other African securities markets such as Kenya, where bonds are now being sold to individual investors through mobile money. There are a lot of possibilities that such integrations would create, not only for mobile operators, but also for tech entrepreneurs who can make solutions that complement securities services. However, working within the securities industry and providing solutions for them is not a walk through the park. Due to the nature of the risk that accompanies securites trading and platforms like bond markets and the stock exchange, the regulator has placed a host of conditions that you’d need to meet just to be considered as a viable partner or service provider. 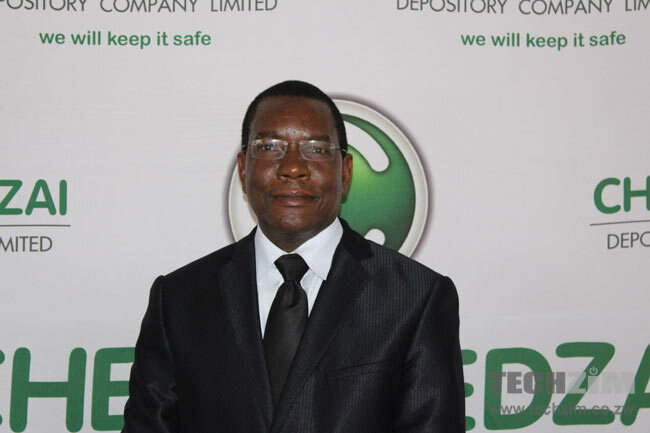 We spoke to Campbell Vincent Musiwa, the CEO of Chengetedzai Depository Company. Together with some members of his team, he explained the lengthy process that they went through just to get Chengtedzai Depository Company off the ground. According to Musiwa, most people seem to underestimate the work that was involved in becoming the sole handler of digital securities. It was hardly a task achieved by a single individual, and besides raising the stipulated funding requirements the founders of Chengetedzai Depository had to identify experts in the field of securities and finance to bring on board, something that the regulator had made mandatory. Through collaborations with the right partners with veteran skills and tech acumen in the intergation of software for securities market, they managed to win the bid for the central depository. According to the team at Chengetedzai Depository Company, the bond market is just one platform that will need supporting tech solutions, so tech entrepreneurs with ideas that can work to extend such services might want to start developing these solutions that work for Zimbabwe. At the same time, the need for collaboration and partnerships should also be considered as a way of meeting the list of requirements set by the regulator. The deisre to supply a tech solution for a platform as strategic as the stock exchange, bond market or central depository needs to be supported by the right mix of experience and expertise in both tech and finance. Anything less won’t get the necessary approval. In the following recording, Campbell Musiwa and the Chengetedzai Depository Company team share the process they went through to win the tender, along with a run through the list of experts they roped in from both finance and technology fields. This is the team behind the formation of CDC. There is one dude called Samuel Dimairo, who is alsways going around claiming that CDC is his company. And he says so without any hint of shame at all. I symphathise with him. Dear Eliphas, I am proud to be a co-founder of Chengetedzai. I have always been consistent with this position. It is up to other co-founders to talk about their experiences whenever they want to. Campbell Musiwa and Bruce Dzowa, who came from First Transfer Secretaries were also co-founders in this project. Let me give you a short English lesson……the word “CO-FOUNDER” implies and means that there are many people that have participated in a project who are also rightly “CO-FOUNDERS”. So please have all your facts straight before you start conjuring comical conclusions and feelings. But you pass of as owner, dude. You call it “my company”, that’s misrepresentation. You go around misrepresenting facts everywhere, and this is what Campbell is correcting in this audio. There is one dude called Samuel Dimairo, who is always going around claiming that CDC is his company. And he says so without any hint of shame at all. I symphathise with him.